Easter is just one week away! 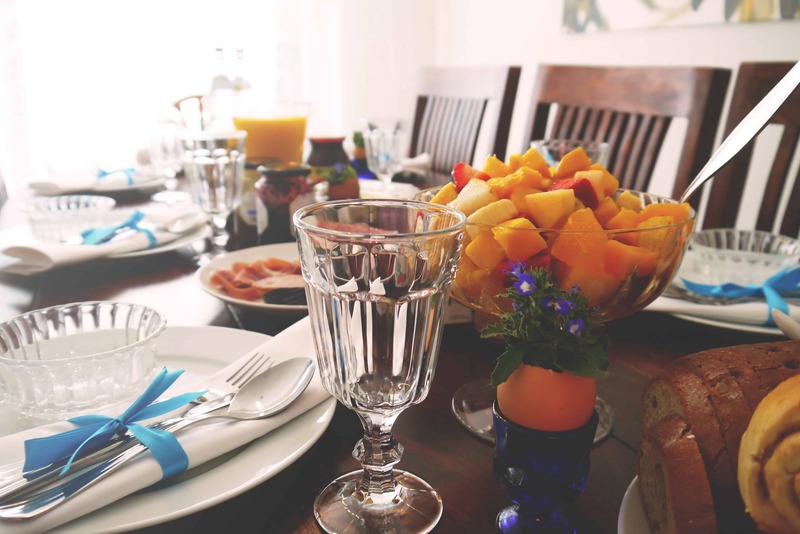 With these delicious spring recipes, you’ll have Easter brunch ready before the guests arrive. This tasty egg casserole and refreshing peach orange cocktails will have everyone asking for seconds this Easter. Coat a 13×9 glass baking dish with cooking spray. In a medium-size skillet, melt butter over medium-high heat. Add leeks and asparagus. Cook for 5-6 minutes or until crisp and tender stirring frequently. Add potatoes, bell pepper strips, salt, and dill. Mix together carefully and spoon into the sprayed baking dish. Beat the eggs in a medium bowl. Add the milk or half-&-half and beat well. Add in half the amount of cheese and mix well. Pour over the vegetables in the baking dish. Sprinkle with the remaining cheese and cover with foil. Refrigerate the dish for 8 hours or overnight. Heat the oven to 350 degrees Fahrenheit. Bake, covered, for 45 minutes. Uncover and bake for an additional 20-25 minutes or until the center of the dish is set. Let stand for 10 minutes and cut into squares. Garnish with red bell peppers if you’d like. Split a vanilla bean down the middle and scoop out the seeds with a sharp knife. Set to the side. To make the Vanilla Simple syrup, mix sugar, water, vanilla seeds and bean in a saucepan. Heat to boiling over medium to high heat. Stir until the sugar is dissolved. Remove from heat and set aside for one hour to cool. Take out the vanilla bean and pour the syrup into a glass jar. Cover and store into the refrigerator until used. To make a peach orange cream cocktail, mash up peach and orange slices and spoon into the bottom of the glass. Top with 1 Â½ teaspoons of vanilla simple syrup and vodka. Add ice and soda. Top with mint and fresh fruit slices if you want. Are looking for a great vacation destination nearby? For a Spring Break you’ll always remember, visit Manhattan Beach’s upscale surfing community. The absolutely stunning beachfront town is just 30 minutes away from Los Angeles and is considered to be the place to live amongst the young, rich, and famous. Manhattan Beach is notorious for its pristine sand that has been used at multiple Hawaiian resorts. The town’s motto is Sun, Sand, Sea and Manhattan Beach fits it to a T! Popular activities in Manhattan Beach are surfing and beach volleyball, although there are many other things to see and do. Here are just a few recommendations when traveling to Manhattan Beach during your week of spring vacation! Manhattan Beach is a beautiful West Coast beach that’s popular for surfing, beach volleyball, dining, and people watching. Tourists flock to Manhattan Beach for the chance to catch a glimpse of Hollywood celebrities and to enjoy this resort-style beach scene. The Manhattan Beach Pier is an attraction all on its own. The fun and energetic pier always has something going on. Stroll down the 928-foot pier after dinner and explore the Roundhouse Marine Studies Lab & Aquarium at the end of the pier. A vacation to Manhattan Beach wouldn’t be complete without walking on this pier! Spanning a total of nine acres in Manhattan Beach is Live Oak Park, a great place for outdoors activities with plenty of things for kids to do. The park also has a big train for children to ride. If you’re looking for a picnic spot, romantic destination, or family outing, Live Oak Park provides the perfect backdrop. Located between Manhattan Beach and Dockweiler Beach is the intimate setting of El Porto State Beach. El Porto State Beach is the beginning of â€œThe Strandâ€ that connects El Porto State Beach and Manhattan Beach. With a natural look and a whole bunch of surfers, El Porto State Beach is known for its relaxed atmosphere and great views of the beach and the extravagant houses. For a day to unwind at the beach, there’s no place that compares with El Porto. 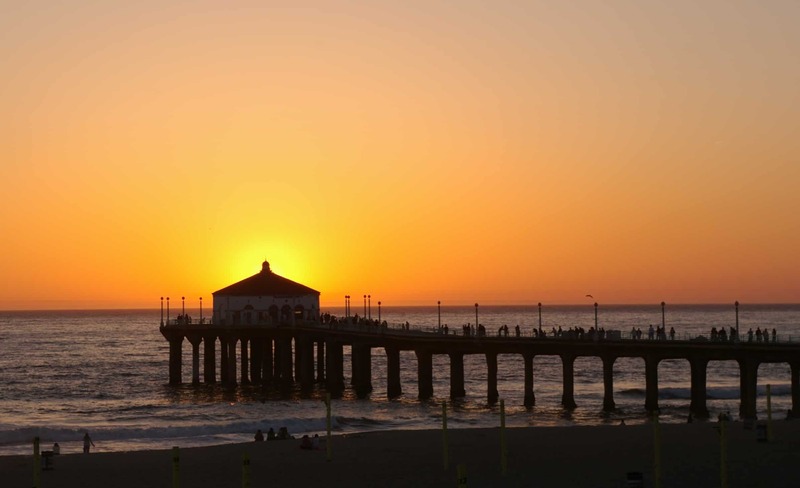 Enjoy a coastal spring break vacation at Manhattan Beach. Just a few hours from San Diego, travelling to Manhattan Beach will be a breeze. Travel easy in spring to this beachy L.A. hot spot!